Welcome to the beautiful countryside in Laukaa – near city of Jyvaskyla, central Finland! We rent out comfortable log-cabin cottages where you can stay all year round. All cottages have a private beach with rowing boat. There are also lot of leisure time activities to choose from such as: swimming, fishing, hiking, white water rafting, riding, golf, snowmobile or ATV-safaris etc. Distance to the nearest spa is only 5 km. 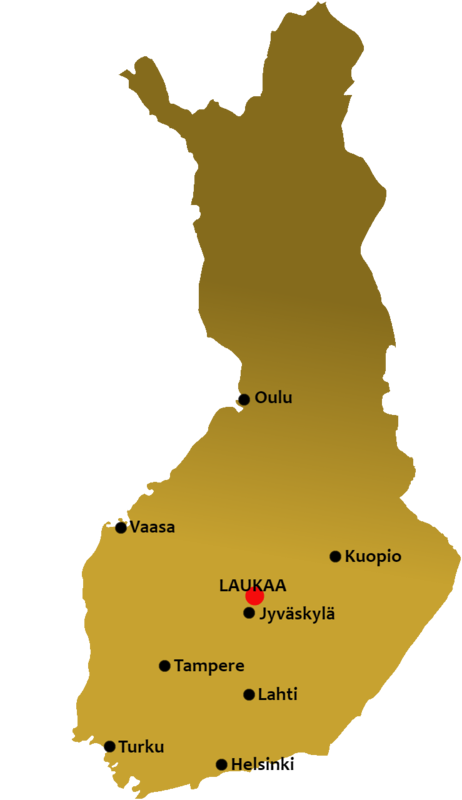 Our six cottages are located in Kuusa in the heart of Central Finland, near the Keitele-Canal and Laukaa, and can be easily reached whether you arrive by plane, train or car. There is accommodation for up to 50 guests. Have a look at the descriptions and pictures of the cottages built in the years 1996-2004 and choose your favourite!